Rent Casa Guadalajara | Corporate Events | Wedding Locations, Event Spaces and Party Venues. Casa Guadalajara is the perfect place for your special occasion. Our award-winning cuisine, delicious margaritas, exceptional Mexican folk art, lively sounds of our mariachis and our gracious staff will provide an experience to satisfy all your senses. - The Main Dining Room can accommodate 125 people with a dance floor, or up to 150 guests without a dance floor. - The minimum for exclusivity is 100 adults. - A site and coordination fee is required for a three-hour event during peak hours. Lush with greenery and brilliant flowers, the Courtyard is canopied by a grand old California pepper tree estimated to be over 200 years old. Our beautiful splashing fountains are made of Mexican cantera stone and colorful talavera tiles, one of Mexico’s most important traditional art forms. The old hacienda gates and wrought iron fixtures were chosen to reflect San Diego’s rich Hispanic heritage. The courtyard will charm you and your guests with it’s early-California influence. - The courtyard can accommodate 125 people with a dance floor, or up to 150 guests without a dance floor. - The minimum for exclusivity is 100 adult guests. - A site and coordination fee will be applied during peak hours for a three hour event. - The minimum for exclusivity is 30 adult guests and the maximum capacity is 60 people for a plated meal and 55 for a buffet. - A site and coordination fee will apply during peak hours for a three hour event. Casa Guadalajara Restaurant is the perfect Southern California venue for a festive and unforgettable celebration. Our facility can accommodate up to 400 guests for lunch or dinner and 500 for cocktails parties. 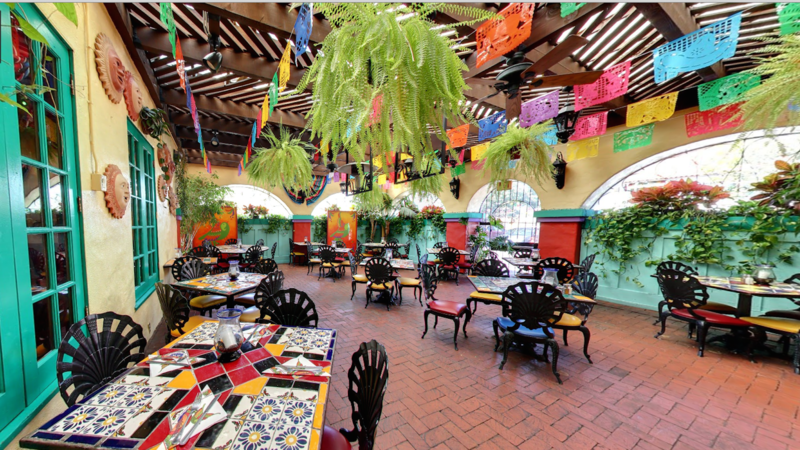 With our gorgeous hacienda style atmosphere, beautiful patios and lively cantina, Casa Guadalajara’s professional party planners will design an event specifically for you and your special guests. Whether you are looking for a simple buffet dinner or an elaborate celebration with interactive food stations and entertainment, Casa Guadalajara has all the ingredients to create that memorable occasion.